I would like to personally thank Fataz Competition Engines for the outstanding work and attention to detail they have provided myself and my business over the years. As an owner of a performance based business I have personally used Fataz Competition Engines for many years now. The quality of their workmanship, knowledge and understanding of their customers needs are second to none. 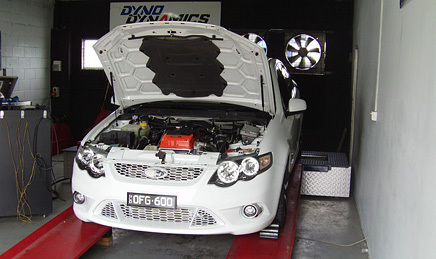 With a fast turn around, I can rely on Fataz Competition Engines to get the job done without sacrificing quality and price and have my customers vehicles back on the road with minimum down time. In my opinion, Fataz Competition Engines gives me complete satisfaction that the job will be done right the first time, therefore I have no reason to shop around and waste time on quoting, which saves me time and money and I wouldn't consider using anyone else. Ian Woodward "Woody" has helped me for the last 6 yrs. He not only builds a built proof motor but he also has helped me with lots of great advice. There is a lot to learn about race engines. 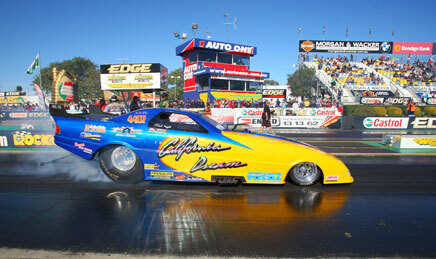 The pressures of the high horsepower and drag racing on a motor make it so important for everything to be just right. Woody has been instrumental to my success with his abilities and technical support. I started off racing with a blown big block chev on carbs and we worked our way up to multiple blown injected big blocks running low 7's on the quarter mile. With Woody's help and guidance we ended up with 4 great engine combos. Out of the 7 or 8 engines I have raced that Woody built, I have never had an engine failure. We have never had a close call or even minor damage. I credit this to Fataz and all of their expertise. In 2008 Dad and I decided to get an Alcohol Funny car with a Hemi. The first thing we did once we got the car home from America was bring the engine to woody. Ian helped us go through the motor and check everything out. Once we had his blessing we put the motor back in the chassis and took the car to the race track. After I had licensed in the car, we turned up the wick and ran well into the 6's. We race in Super Charged Outlaws and the fastest time you are allowed to run is 6.50 seconds. The car runs consistent 6.5s at over 210mph. Fataz is a great sponsor to us. Even now that I do most of the maintenance on the engine myself I know I still have the support of woody when I need it or get stuck. Ian has also introduced me to some other great people that have helped us out with great work. Reece at HPC coatings does all of our ceramic coatings and Les from Fat Pipes has done a great job repairing the headers for us. We have had great success with our race cars and engines and a lot of that is thanks to Woody and Fataz engines.